The best experiences to enjoy on holiday. 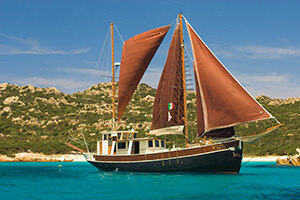 Discover the best things to do and see in Sardinia. 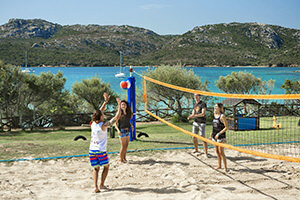 Delphina is Sardinian and is passionate about the island. This is why we are permanent ambassadors for our territory and ready to offer authentic Mediterranean hospitality in unique places. A holiday that starts with the territory itself, its outstanding beauty and traditions with all the comforts and exclusive services offered by Delphina’s 4 and 5 star hotels in the North of Sardinia. 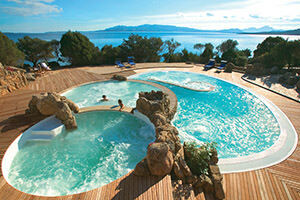 Don’t spend the usual holiday in Sardinia, come and enjoy a genuine experience with Delphina hotels & resorts. Sit down at the table and prepare to enjoy a real taste experience. Every day our chefs turn genuine seasonal products into Mediterranean and traditional Sardinian dishes that are beautiful to look at and delicious to eat. The best beaches? There’s more! You can enjoy the sea from every angle with our boat-trips to the most beautiful islands of the La Maddalena Archipelago and Corsica but the inland area is also waiting to be discovered, with forests of cork oak trees and ancient villages with their cobbled streets and traditional handicraft workshops. Holidays can be active too! Keep fit between one swim and another by making the most of the many sports activities available at Delphina’s hotels and resorts. Have fun with our qualified instructors and the hotel’s lively entertainment team. Spend an exclusive holiday in one of the best 5 star hotels in Sardinia with the freedom to enjoy the island’s nature and soul in complete informality. Discover the Delphina collection’s 3 jewels by the sea.